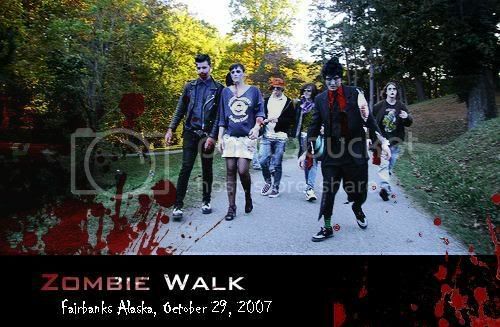 Alaska Zombie Walk! 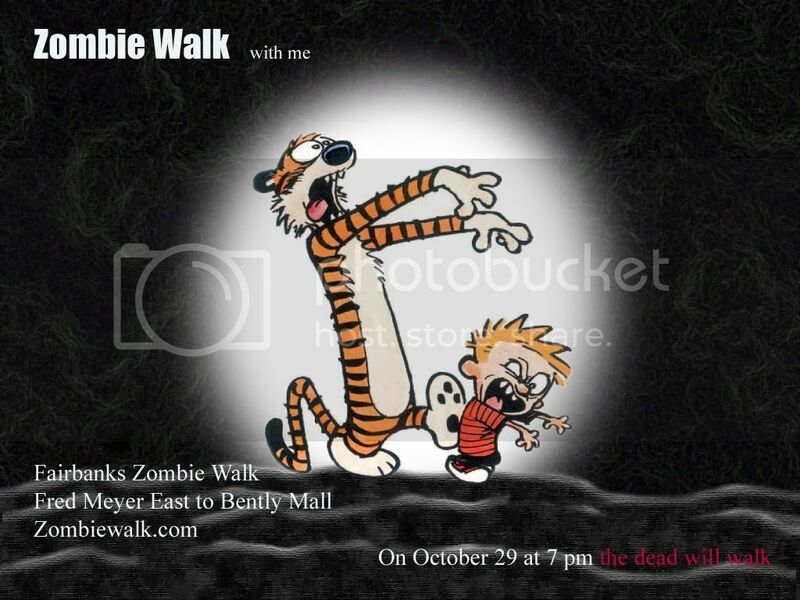 - Zombiewalk.com - Your source for all Zombie Walk and Zombie Flash Mob planning! 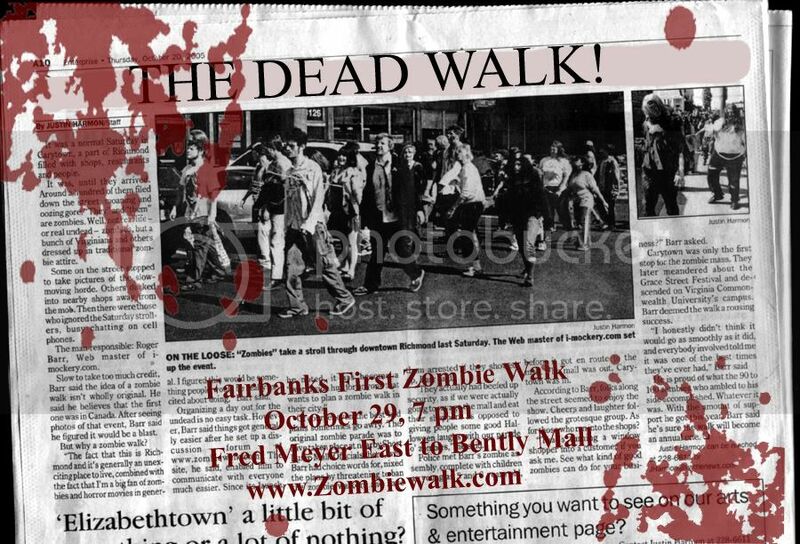 There will be an Zombie walk on October 29, 2007 in Fairbanks Alaska- first one ever! 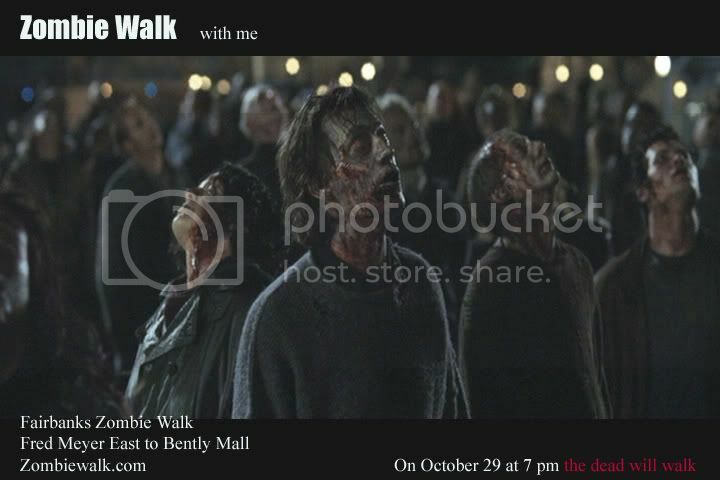 We will meet at 7 pm at Fred Meyer East and walk to the Bently mall (where else?). Afterward there should be a benifit show at the Marlin for the zombies and freinds, featuring Sweating Honey. Proceeds got to Fairbanks Food Bank. email me with any questions! Praise the Lord and pass the ammo! 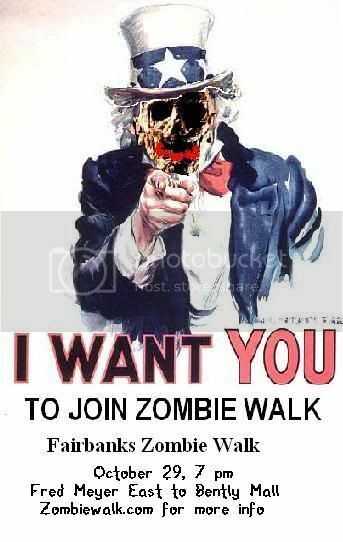 Any Zombie hunters out there? Does anyone have any info on the 2010 PDX walk? I didnt:::::: see anything mentioned anywhere.